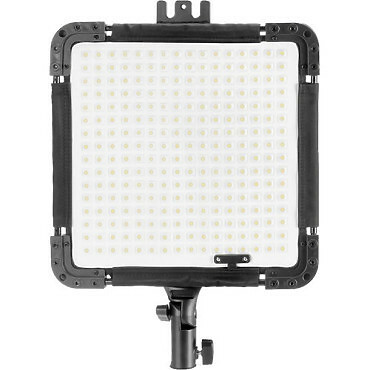 The BrightCast V15-345 Flexible Bi-Color LED Panel from Kamerar is a 12 x 12" light source that allows you to bend it into the shape that best suits your subject permitting placement in tight spaces where traditional fixtures just can't go. The V15-345 has all of the benefits offered by LED use including low power draw and cool running temperature but it's also dimmable and has color temperature that's variable from approximately 3200 to 5600K or anywhere in between while maintaining a high CRI of 97 in the tungsten range and 98 in the daylight range. This feature allows you to light creatively, match other fixtures, or deal with the ambient light conditions.